This thesis comparatively investigates into thecross-border enforcementof claims to misappropriated cultural objects initiated by states. 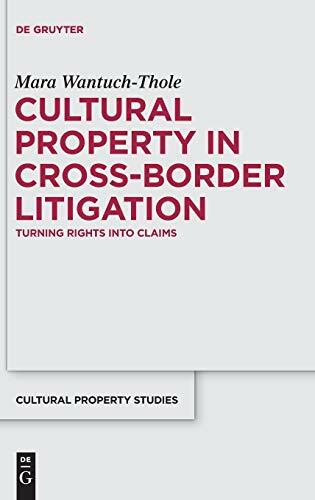 It identifies and categorises sovereign rights in cultural property, and discusses the legal mechanisms tosuccessfully implementthese rights in foreign courts. The results may be used by government officials, museum officials, lawyers, art historians, archaeologists, art dealers, academics. Mara Wantuch-Thole, dtb Rechtsanwalte, Berlin.